Are you planning to buy Acer gaming laptop? Then I would be told that you are in the right place. Halo guys, thank you so much for stopping by our website! Today I am going to review the Acer Predator Helios 300, 15.6” gaming laptop. If you are a gaming enthusiast then you most probably familiar with the Acer predator series. The manufacturer of this uncompromising gaming brand has presented the gaming laptop. The graphics coprocessor is GTX1060 with 6GB. Its screen has max resolution 1920*1080 pixels. You will not find any gaming laptop which has GTX1060 with 6GB. 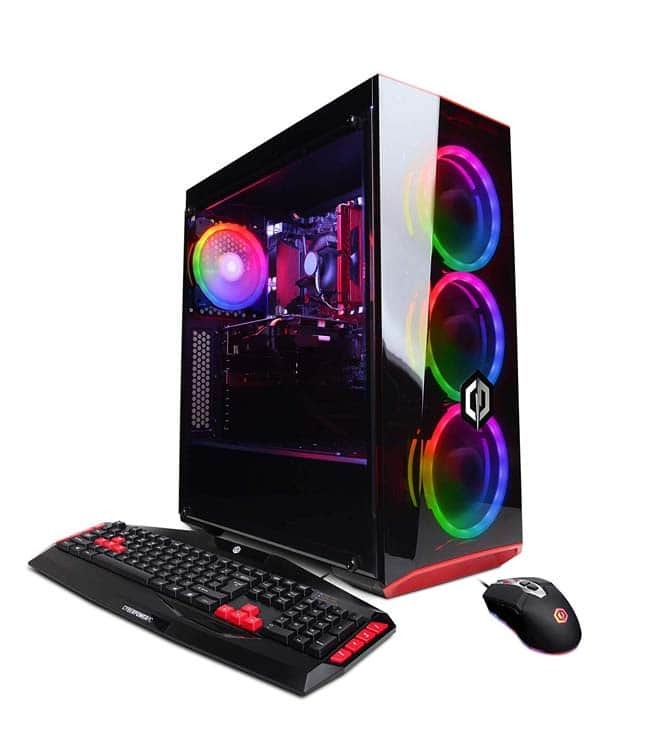 It has two built-in speakers and fans to cool down the laptop while gaming. It is an amazing looking gaming laptop. The color combination of it makes it very appealing to its customer. Below you will find the description of some significant features. Let’s get started. When you will buy a gaming laptop you have to check design & display. The design of this gaming laptop is not far different from other Acer’s notebook. On the top of the Acer Predator’s lid, there is a small plastic bumper. The metallic lid has two red stripes bordered the logo of this brand. When you raise the lid you would see the 1080p display and two logos on the frame of that screen. The keyboard of this predator is also very unique and comfortable. The utilized red backlighting, number pad, and red WASD keys are responsible to make it worth discussing. It weighs 5.5 pounds and 15.4*10.5*1.5 inches. Though this Acer gaming laptop is little larger in size but lighter than any other gaming laptop. On the right side of this predator has a headphone jack and a pair of USB 2.0 ports. Ethernet jack, a USB 3.0 port, and an SD card slot are located on the other side. The display of the predator is sharp. Those who love to buy the gaming laptop and play outdoor the property of the display is a good news for them. 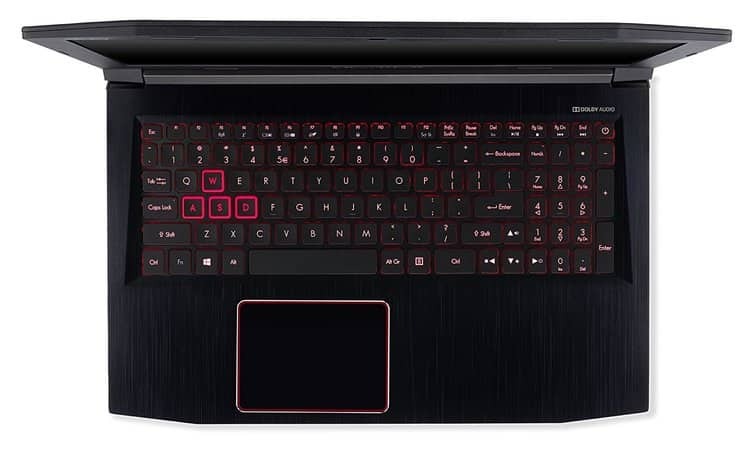 The Acer gaming laptop predator’s design of touchpad is a continuation of color combination. It is large enough as well as responsive thanks to the click pad. You will face no problem to zooming or swiping away your windows. The input device is reactive enough even at the side or in the corners. As we all know normally in those places inputs are difficult to find. Its smooth black surface is highlighted by a red rim. The predator has two built-in stereo speaker. The speakers are very loud but the default music setting is a good balance. Now I will discuss the 720p webcam on the predator. This is a nice and sharp camera though its color is not that accurate. But this is not going to be an issue to buy the gaming laptop. The textured metallic cover of this laptop will surely catch your attention. The predator’s NVIDIA GeForce GTX 1060 GPU with 6 GB of VRAM showed great performance. When you would play Mass Effect: Andromeda on ultra -settings at 1080p with FXAA anti-aliasing, you may notice the game ran between 70 and 80 frames per second during battle and occasionally dropped down to 64 fps during interactive cutscenes. Another game which is On the Rise of the Tomb Raider benchmark (1080p, very high settings), the predator ran the game at 67 fps. The other one Hitman benchmark (1080p, very high settings)rendered at 67 fps on this Acer predator Helios 300. Grand Theft Auto V (1080p, ultra settings) played at 49 fcps on this Predator version. 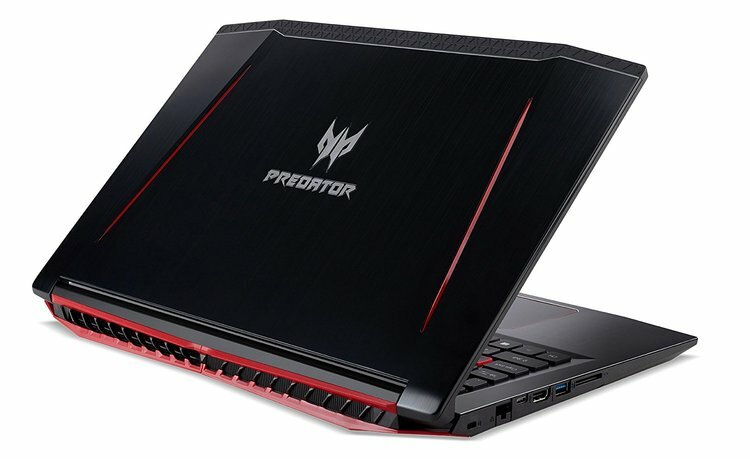 Now I think you can decide whether to buy a gaming laptop of this Acer predator helios 300 version or not. This version of Acer Predator Helios 300 is equipped with Intel Core i7-7700HQ CPU, 2.8 GHz, GeForce GTX 1060,16 GB of RAM and a 256GB solid-state drive, which is a proof of multitasking. One information I must tell you that the predator score of 13,587 on the overall performance test. In 27 seconds the predator copy 4.97GB of mixed files, resulting in a rate of 188.5 megabytes per second. It took 3 minutes and 22 seconds to pair 20,000 names and addresses in our OpenOffice spreadsheet macro. If you are planning to buy a gaming laptop in your mind then this version is best for you. You can expand the RAM and storage of this device. The 16 GB of DD4 RAM is a good configuration but you can expand to 32 GB. The storage is also can expanded by adding HDD or SSD in 2.5-inch format. You might want to know how to update GTX 1060 for your machine? You can visit the official site of acer.com. There you can see an updated driver just load this and your system is good to go. The battery life is quite long. It can run for 6 hours and 48 minutes which is much better than any other mainstream gaming laptop. Heat on the gaming laptop is also mattered of concern. The predator stays cool when it’s not gaming or under simple workloads. But it might heat up when playing the game on this. The keyboard can reach 104.5 degrees and the bottom 113.5 degrees. But the inbuilt dual fan helps to cool all the components down and provide a smooth gaming experience. However, the touchpad stays cool. So I think if you are deciding to buy a gaming laptop then you will find this information helpful. A lot of people might say that the monitor is not good. If you are a professional photographer then it might not give you the precise color but other than that the monitor is amazing. Have you heard of PredatorSence app? It is the biggest addition to this predator series. Which will let you monitor CPU and GPU speeds and fine-tune fan control for optimal performance. You can also find all the bloat usually packed in windows 10, candy crush soda, twitter, facebook, royal revolt2 even sling. Acer predator helios has no security features but it has a trusted platform module 2.0 and a Kensington lock. 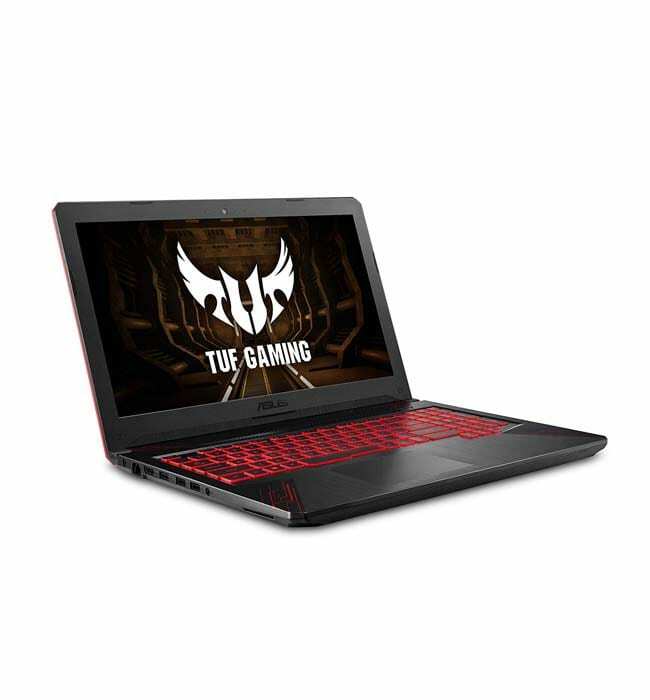 In this gaming laptop, you can play and work with a very reasonable price. It is also not so bulky, you can take it anywhere you want to play. So don’t have to think any further to buy the gaming laptop. Like any other product, this gaming laptop also needs some maintenance. Though it’s called laptop do not use this on your lap. 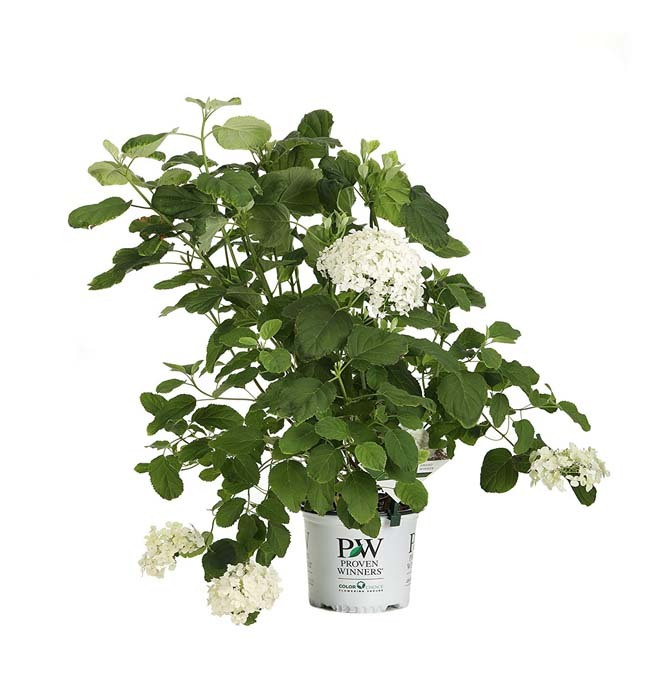 Always try to keep it on a hard or flat surface while using. Refrain from downloading the bunch of game on the predator. It might make your machine slower. The Acer Predator has a black matt finish body. That’s why the fingerprints are visible so you have to clean it with the cloth after each time of your usage. laptop predator Helios 300 (15.6”screen, GeForce GTX 1080) is a powerful, VR ready gaming laptop. 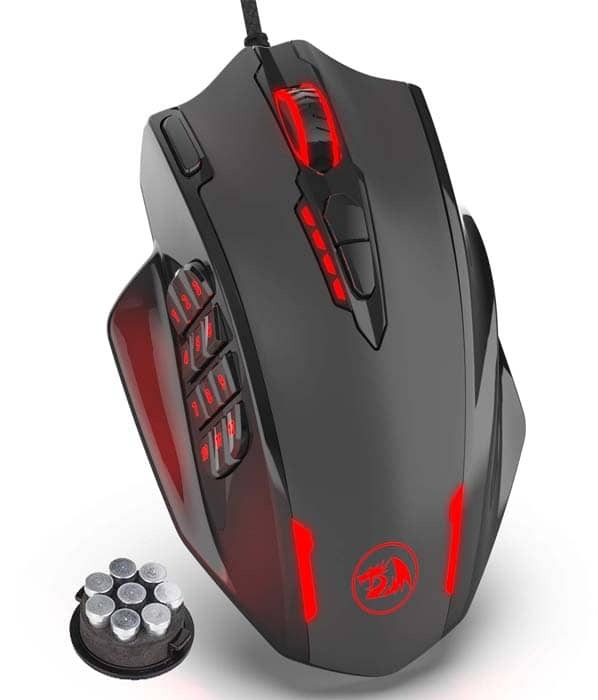 It is a great entry-level device for gamers. It is equipped with all the necessary features that a Acer gaming laptop should have. when you have made up your mind to buy a gaming laptop then you might be surprised by the price of this laptop with a GTX 1060 GPU. 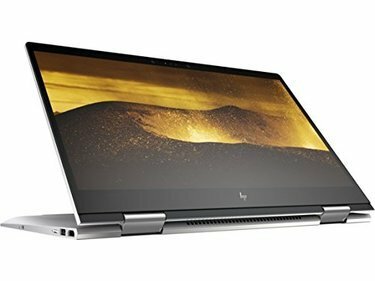 You can check the market many laptops with this price use lesser card. Plus this laptop is remarkably easy to upgrade. As I discussed above you can buy this Acer Predator helios 300 with extra storage. The metallic body of this machine and the color combinations make it the very pleasant looking laptop. Once you buy it you will never regret! If you are already using this gaming laptop then feel free to comment below .we would love to hear your experience. Till then happy gaming! Great laptop giving great performance.